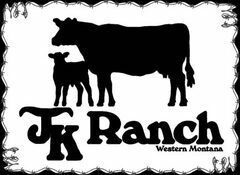 JK Ranch began in western Montana as a miniature Hereford cattle ranch in 2009. We pride ourselves on well raised, healthy cattle. We are always looking for new ideas and information to help improve our herd and make it stronger. We believe that animals should be well taken care of and socialized, not just left in tight fitting stalls to grow beef. The animals at JK ranch are grain and hay fed and have both indoor and outdoor accommodations. Some may say they are spoiled, but we believe that it's just the right way of doing things. JK Ranch has a variety of animals. the cattle we raise, including the new miniature Hereford calves, are offered for sale at competitive prices. You can view all of our cattle by navigating to the "Our Animals" page. There you can see photos and brief descriptions of our animals. Please feel free to contact us if you have questions or need further information.